In the unlikely event that a) I'm ever on Desert Island Discs, and, b) that they've changed the format so that you can only take one album with you, I would be faced with a tough choice between two contenders. I suspect that Talk Talk's "Spirit Of Eden" would probably provide longer lasting spiritual nourishment for the soul and greater depth of listening. However, I'm pretty certain that I would in the end opt for ABC's "The Lexicon of Love". A shamelessly romantic album about love, loss, rejection, regret and revenge from 1982, I first heard it just as I was beginning to think, hey, you know, those girls over there on the other side of the playground, they are kind of interesting. Consequently, as a tweenager, I played it to death. And so that is why I was at the Royal Albert Hall last week amongst a mostly thirty and fortysomething crowd to watch ABC perform the album in its entirety. Although ABC have long since just become the retained brand name of what is essentially a solo Martin Fry project, for this show it was something of a reunion. 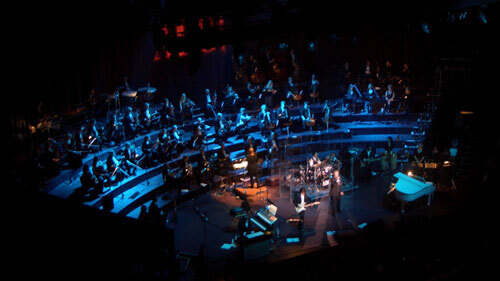 Anne Dudley, who arranged the strings on the album was conducting the BBC Concert Orchestra. Original drummer (and also a 'Mind Bomb'-era member of The The) David Palmer was back behind the kit. Gary Langan, the album's engineer, was doing the sound. Tessa Niles had come out of semi-retirement and flown from South Africa to provide backing vocals. And finally, producer Trevor Horn was on hand to introduce the album and provide some reluctant looking backing vocals for the encore. 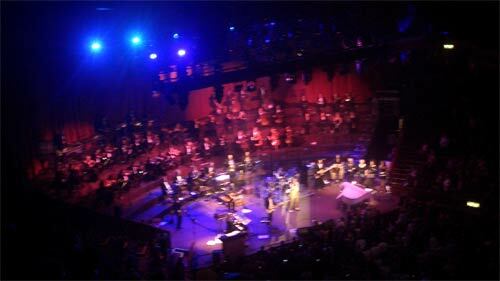 For the first part of the show they played a series of 'other hits' accompanied by the orchestra, although even as a fan I'd have to admit that, beyond "When Smokey Sings", the definition of 'hits' was being stretched slightly. They played 'S.O.S. 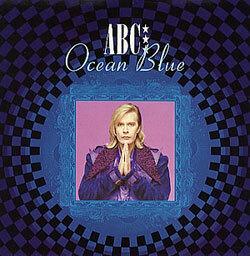 ', which peaked at #39 in the UK singles chart, and 'Ocean Blue', which limped to #51 in 1986. "The Lexicon Of Love" though, was an unquestionable success on both sides of the Atlantic. Not that I was persuaded to buy it at the time. 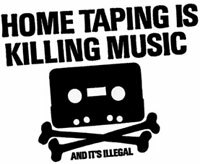 Instead I was guilty of the terrible 80's scourge of the music industry - home taping. And I didn't event tape it very competently. The TDK D90 that served as my copy of the album for those formative years - with Haircut 100's "Pelican West" on the other side I recall - didn't have the whole album. As I mentioned in my "Lifetime of lost playlists" series, I'd inserted the 12" mix of 'The Look Of Love' into the middle of the tape, rather than the album version, and consequently the track-list ran over the strict 45 minute limit. I had to fade out about the last 60 seconds of '4ever 2gether', and still to this day I get slightly surprised when that track doesn't come to an abrupt halt. By Martin Belam on 18 April 2009. Awesome mate, I wish I could have been there to have seen this concert as ABC's album (Lexicon) was also a big big hit to me. Never realised that a Lexicon was a dictionary & now the words & songs mean even so much more to me!! !